Episode 154 – Tough Times Demand Mental Toughness. Be Strong! “Be tough,” says every dad to every toddling son when they fall down. I used to be far more stoic than I am today. Reserved. Keeping my cards close to my vest. Protective. Lots of people choose to live that way thinking they’re protecting themselves. 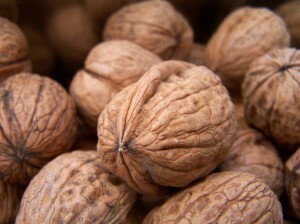 Have that hard shell like a walnut and perhaps you can avoid pain. Life cracks us all. Sadly, during this holiday season too many people suffer despair and sadness. Too many of us have knees that are buckling under the strains of life, including this holiday. Not everybody celebrates the end of a year and the beginning of another because it’s just too painful. I hope that’s not you, but if it is – listen. Let me be just one voice to encourage you that life is good. It can be. And you can affect a more positive outcome for yourself and those you love. You absolutely can. Does this mean you can get rich? No. Does it mean you can get the career of your dreams? Maybe not. Does it mean your sickness – or the sickness of your loved ones – can be cured? No, maybe not. Then, what does it mean? It means you can endure. It means you can practice mental toughness that will help you increase your resilience to the failures that life slings at all of us. All of us! 1. Count your blessings. Really focus on the things for which you are truly thankful. Do it without comparing yourself to anybody else. It’s easier to see new opportunities when you concentrate on your blessings instead of your hurdles. 2. Understand that this is a moment and it will pass. Problems end. Struggles subside. In that moment of defeat it’s hard to realize, but just look back over the course of your life. It’s always happened. Time moves on and we move along with it. Embrace that knowledge in advance. 3. Craft a proper response to your struggle, defeat or failure. What will you do? Those wise counselors you sought out can help you figure this out, but remember – you are the President of your own life. You alone must decide how to respond to the arrow of life. Do not go it alone. Seek wise counsel. Don’t be brave. Don’t be stoic. Share your pain with people who care deeply about you – people who can help you. 4. Get busy. Once you decide the proper response, get busy doing something. Take action. Know that your response may require adjustments along the way. That’s to be expected. So, expect that. But don’t sit around waiting for the world to change. Do what you can with what you’ve got. BONUS 5. Do not try to learn from the failure too soon. Learning the lessons of defeat takes a perspective that only time will supply. This is learning that you can’t apply some Tim Ferris fast learning methodology to. Now is not the time. That’ll happen later. Let it. Go with the flow. I wish you well. I hope the coming year brings with it the opportunities you seek. Prepare well. Thank you for letting me play a small part in your life. Let me know if I can help you professionally. P.S. Here are a few more pithy Mark Twain quotes for your inspiration.